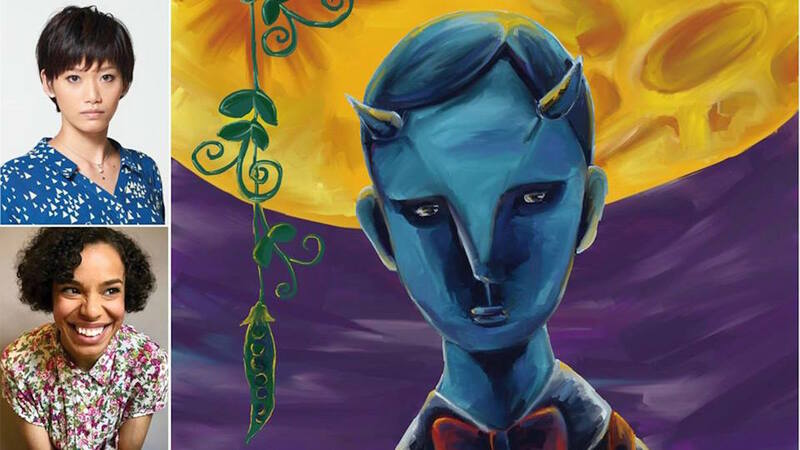 Children go missing, meteors rain from the sky, and a blue demon lurks just out of sight in Japanese playwright SaringROCK’s 100 Years Stray. As part of its current 2018-2019 Performing Arts Season, Japan Society presents a staged reading of the play, which was nominated for the prestigious Kishida Kunio Drama Award, Japan’s most prestigious award for contemporary playwrights. Translated by Aya Ogawa and led by New York-based director Taylor Reynolds, 100 Years Stray marks the 14th installment of the Society’s Play Reading Series of contemporary Japanese plays in English translation, introducing topical plays from up-and-coming playwrights in Japan to artists and audiences in the U.S.
Reynolds tackles this apocalyptic coming-of-age story in a staged reading that explores a fictional universe where extreme isolation is the norm and women no longer exist. SaringROCK is an award-winning writer, director, and actor who was born in Osaka, Japan, in 1980. She graduated from Kwansei Gakuin University’s Department of Literature with a degree in Philosophy. SaringROCK founded the theater company Totsugeki Kingyo in 2002, while she was starting her career as a writer. Her work tends to focus on the unsociable and frustrating lives of Japanese millennials, offering a slightly hopeful and refreshing female perspective. Rife with eccentric and awkward characters, her plays uniquely embody the modern age. Reynolds is a New York-based director and theatre-maker from Chicago and one of the producing artistic leaders of The Movement Theatre Company, a Harlem-based group dedicated to developing and producing new works by artists of color. She has worked as a director, assistant, and collaborator with companies including Clubbed Thumb, Radical Evolution, Ally Theatre Company, The Atlantic Acting School, Single Carrot Theatre, NY Madness, JAG Productions, The United Solo Festival, and The 24 Hour Plays. A BFA recipient from Carnegie Mellon University, Reynolds is a member of NY Madness and the Lincoln Center Theater Directors Lab, is a New Georges Affiliated Artist, and a 2017-2018 Clubbed Thumb Directing Fellow. SaringROCK will join Reynolds in a post-performance Q&A with the audience. For more information and to purchase tickets, please visit Japan Society’s website.